Check out Sprint’s unlimited plans and you’ll see the hotspot data allowance goes from 500MB to 50GB per month depending on how much you’re willing to pay. Some hotspot data allowance is available on more limited plans, and separate deals can be picked up if you’re connecting a tablet. It’s largely the same across the other carriers: Most AT&T plans, Verizon plans, and T-Mobile plans include a mobile hotspot allowance for tethering, though as we’ve said sometimes hotspot data is counted as separate (check with the carrier directly if you’re not sure). Note the transfer speeds too—some Verizon plans offer unlimited hotspot data but at a maximum speed of 600 kbps, while T-Mobile distinguishes between 3G and 4G LTE speeds (the latter costs more). And that’s another important consideration when tethering: Actually having a strong enough 4G LTE data signal to get by. If you’ve got a patchy cellular connection then chances are you’re not going to get the browsing speeds you need on your laptop, and you’ll need to move to an area with better coverage. When it comes to Chromebooks, there’s now an Instant Tethering feature available for connecting to Pixel phones (with support for more Android devices rolling out as we speak). 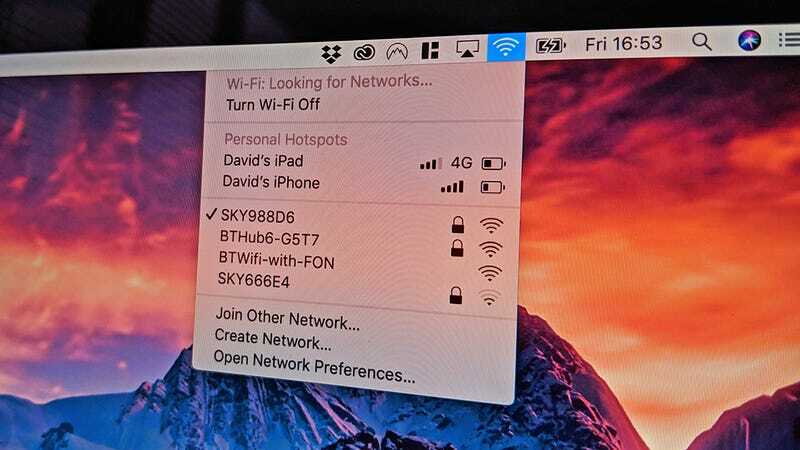 Essentially, it makes the tethering process just a touch easier, with Chrome OS automatically latching on to an available and recognized cellular device if a normal wifi network isn’t detected. You can use wired tethering if you wish—it should be as simple as plugging in your Android phone or tablet via a USB cable and then enabling USB tethering on your mobile device. When we tested it, the device immediately created a connection labeled “Ethernet” on the Chromebook we were connecting to.